U.S. Federal Communications Commission Chairman Tom Wheeler will step down on Jan. 20, clearing the way for President-elect Donald Trump to appoint a Republican chairman and majority at the agency. 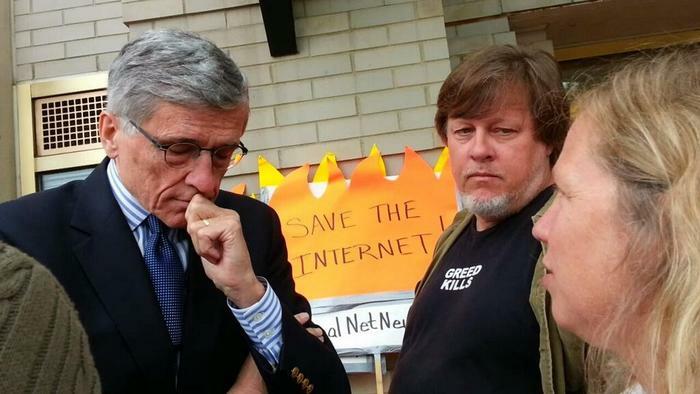 Wheeler, a Democrat appointed chairman by President Barack Obama in late 2013, was the architect of the FCC's strong net neutrality regulations, approved by the FCC in February 2015. Ajit Pai, a Republican commissioner who's mentioned as a possible successor to Wheeler, has vowed to repeal the net neutrality rules and to take a "weed wacker" to other FCC regulations. Wheeler's resignation happens the same day Trump is inaugurated as president. Wheeler thanked the commission staff for their work during his three-year service as FCC chairman. "Their achievements have contributed to a thriving communications sector, where robust investment and world-leading innovation continue to drive our economy and meaningful improvements in the lives of the American people," he said in a statement. "It has been a privilege to work with my fellow commissioners to help protect consumers, strengthen public safety and cybersecurity, and ensure fast, fair and open networks for all Americans." During Wheeler's time as chairman, the FCC launched a huge auction that allows television stations to sell off their valuable spectrum and share in the proceeds. In early 2015, the FCC voted to overturn large parts of two state laws that limit local governments from funding and building broadband networks. In October, the FCC voted to require broadband providers to receive opt-in customer permission to share sensitive personal information, including web-browsing history, geolocation, and financial details with third parties. Several groups praised Wheeler's work at the FCC. He will leave a "rich legacy of Internet safeguards designed to empower and protect average Americans," said Jeff Chester, executive director of the Center for Digital Democracy, a privacy group. "From network neutrality that helps ensure there are no online gatekeepers, to rules on privacy that protect the information of consumers and families, the Internet in the U.S. is a fairer and safer place due to Tom Wheeler," Chester said by email. "A crucial test for the Trump White House will be whether it preserves these important decisions designed to help everyday Americans." A question for the Trump administration is whether it will "trade away American digital rights to help the super-rich and powerful phone, cable and Internet companies," Chester added. Wheeler's legacy will be felt for many years, added Adrianne Furniss, executive director of the Benton Foundation, which promotes communication policy based on the public interest. "What is amazing about his many accomplishments can’t always be measured by the dockets he opened, the votes he won, or the initiatives he proposed," she wrote in a blog post. "The day-to-day impacts of his actions can often be more readily seen in the child who can now reach a hand across a keyboard to access a whole new universe of knowledge thanks to gigabit connections to the school and Wi-Fi in the classroom."